Traveling to Cape Town for the Cape Town Cycle Tour, famous Two Ocean’s Marathon? 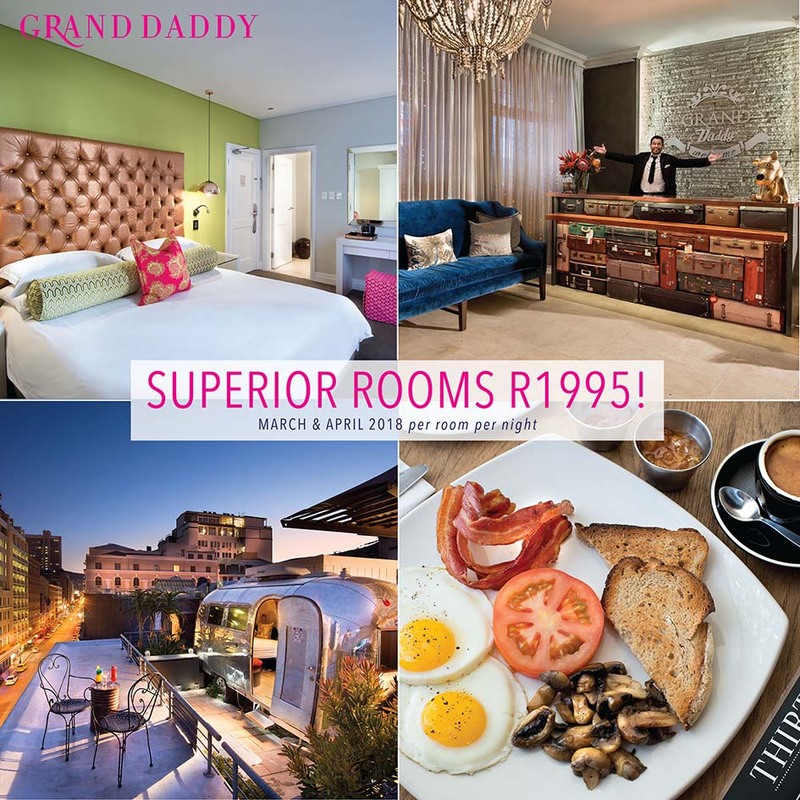 Stay at The Grand Daddy Boutique Hotel in Cape Town for only R1995 per room per night during March & April 2018! Our Superior Room Special includes WiFi, welcome drinks & breakfast. *Offer based on a minimum of 2 night’s stay. Terms & conditions apply.